BlueRay Starseed Ascension Symptoms: Why Am I Here? What is My purpose Now? Enjoy this BlueRay News Letter! Star seed Ascension Symptoms: Why Am I Here? What is My purpose Now? "Shekinah", a Hebrew word in the "Language of Light", is a mentor of the Blue Ray. Shekinah is the lost aspect of the sacred Divine Feminine of Creation that is the embodiment of God, the ascension process. BlueRay is the soul group consciousness of the highest aspect of all Blue Rays. Together we give you these transmissions. Why do the Starseeds, Light Bearers not feel at home on the planet? Because you are from these planes of light, and that is your true resonance field, residence on Earth can feel like separation and a longing for home. The actual longing is for those missing harmonic frequencies and is your soul driving force intuitively guiding you to find and make those reconnections in your life and with Gaia. For many, this has been the purpose playing out in your life, relationships and locations on the planet. Starseed light worker has a job to do here on the planet. 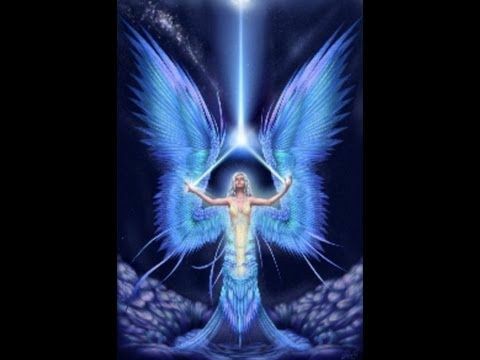 The starseed light workers, more than others on the planet, have an inherent soul purpose to be of service in love, light and truth for the ascension and evolution of the New Earth. Although everyone on the planet has a soul purpose in serving the greater whole, you, starseed, blue ray, have always had a sense you are not from here, have a longing for home, but you have a job to do and it's not in normal 3D life as it involves awakening and service to the Light. And you may have a career, marriage and children though your focus will be on raising your personal consciousness and frequency to awaken your higher self to your spiritual gifts and cosmic lineage, what you came here to do. The Star Being Galactic Light Ambassador awakening encoding 12:12. As a star being, you came in with a specific encoding that is activated from the particular origins of the planets, Creation rays and interdimensional planes, and soul groups you are from and came through. This has created your unique resonances that align you with your purpose and path of connections, awakenings and places you live and visit on the planet. Ascension symptoms variables depend on where you are after the celestial events and shifts; some may have passed and others are still to come and will continue throughout the year. It is suggested to consult a healthcare professional for symptoms as not every symptom is from ascension. And though it may be an ascension symptom, you still may need assistance with the process. 10:10 New Earth stargate means a full cycle is complete and you are ready to step into a new life frequency. Once you reach this level you may experience a higher vibration and choose your next course of activation. It is living many lifetimes in one life, as if stepping into a new life though not going through the veil of unconsciousness (of forgetting) and taking with you all that will serve your highest path and service. When this gateway comes, you cannot take what is not in alignment with your new resonances. As you are in a cycle of accelerated karmic clearing and multidimensional time, you do not need to cross over and come back to heal, evolve and clear lifetimes and karma and to access multidimensional consciousnesses and wisdom. Release of deep, ancient anger which you may not have known existed. This is assisting the body in release for the crystalline structure and repair. As the higher energies are moving through you, this can stem from the times when separation occurred from Source/God, your tribe, soul groups and lineages so that these lines and energetics can be restored. Your higher configurations of light are integrating and adjusting; please allow for this. Be gentle, loving, kinder and more forgiving towards yourself and others. Many of you have been through ancient wound healing and release of soul contracts on many levels. Know there will be and have already begun new sacred soul partnerships and support for New Earth technologies, Peace, ancient knowledge, alliances of light and reunion of souls. This is cause for celebration, joy and renewal of your new status of your purpose to serve in a higher capacity of your true essence and expression, to serve and experience the multidimensional support through the Light alliances of the Galactic Councils, Earth, Angelic Realms, and other ascended groups as Ambassadors of Light, the New Earth Architects. **Make a donation and thank you Here!! The New "I am Presence of the Rose Ray in the Violet Flame"
Mother Mary Rose Ray Activator has now been placed in store fronts and door entrances where it has been a powerful blessing for all who enter. The Mother says to place your hands at hers for Rose Ray blessings of healing and love. Pleiadian Peace Portal, Cathedral Rock Vortex Sedona, Arizona. Shekina Rose is being visited by the Pleiadians and the Pleiadians Peace ships. They have been showing her interdimensional ancient sacred technologies that she has created and is sharing. She has been anointed in the Rose Ray by the ascended master Mother Mary where the apparitions and appearances occurred at Cathedral Rock Vortex in Sedona, Arizona. The Rose Ray in the Violet Flame of Supreme Divine Love is back on the planet to restore the balance of the sacred divine feminine that empowers our I Am presence. Shekina Rose was activated by her star family decades ago and given prophecies to assist in restoration and activation of the Divine Original Blueprint, the New Man of Light. As a Blue Ray Sirian starseed, Shekina is a vehicle for the Shekinah in the Language of Light 528 Hz Miracles/Transformation Ancient Solfeggio scale and she is the Channel of the Blue Ray that assists the ultra-sensitive Star Being to be here and be empowered on the planet, so they may awaken to their higher purpose and spiritual gifts to raise the vibrational frequency of Gaia.